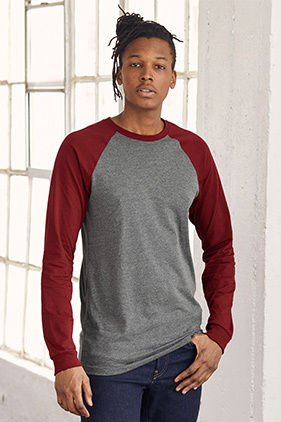 100% Airlume combed and ring-spun cotton, 30 singles 4.2 ounce jersey long sleeve baseball style t-shirt. Contrast raglan sleeves, cuffs and neck trim. Side-seamed. Retail fit.